The Cherry Creek North Business Improvement District (BID) is a public organization primarily funded by private commercial tax payers. The BID’s mission is to actively plan, manage and promote Cherry Creek North as a premier destination for shopping, dining, living, working and visiting. The BID was established in 1989 as the first business improvement district in the state of Colorado. 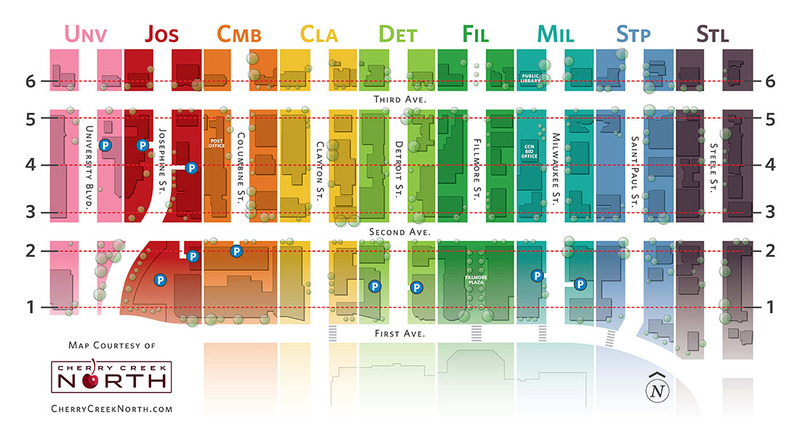 Three miles from downtown Denver, the BID’s boundaries extend 16-blocks from 1st Avenue to 3rd Avenue, and from University Boulevard to Steele Street. The BID ensures that Cherry Creek North is a premier destination through day-to-day maintenance and operations, annual local and tourism marketing and advertising, constituent outreach, signature events including holidays, and other initiatives.